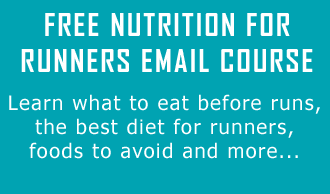 Runners Connect » » Nutrition Articles 75% of Runners are Vitamin D Deficient. Are You Getting Enough and How Can it Affect Your Training? Vitamin D is an important component of a runner’s diet and recent research on the vitamin has concluded that it may be more significant for overall health than initially realized. According to a March 2009 study in the Archives of Internal Medicine, more than three-quarters of adults are Vitamin D deficient. Furthermore, a 2008 study at the Cooper Clinic in Dallas found that 75 percent of runners averaging 20 miles a week have low vitamin D levels. As a result, the recommended daily intake for vitamin D has increased in recent years, particularly for runners. Athletes should pay special attention to meeting these new requirements for vitamin D.
In this article, I am going to outline why Vitamin D is import your overall health and your performance as a runner. More importantly, I will provide daily recommendations as well as healthy sources to supplement your diet should you be falling short of the daily recommendation. Vitamin D is best known for its role in maintaining bone health. It helps the body absorb calcium from food and supplements and helps maintain calcium homeostasis. If you suffer from chronic stress fractures, Vitamin D can be one of the supplements that decrease your risk of future stress fractures. From a training perspective, a number of new studies show Vitamin D’s may provide significant performance benefits. One study, published in February 2009 in The Journal of Clinical Endocrinology & Metabolism, concludes that adolescents with higher levels of vitamin D can jump higher, quicker, and with greater power than those with lower vitamin D levels. A review in Molecular Aspects of Medicine in December 2008 shows that vitamin D increases the size of fast-twitch muscles and muscular strength. Some research also shows low levels of vitamin D may increase risk for sports injuries, including stress fractures because the nutrient is so vital for bone health. There are two bone conditions that can result from chronic deficiency of vitamin D: rickets in children and osteomalacia in adults. Even if dietary intake of calcium and phosphorous is adequate for bone health, sufficient vitamin D is necessary to absorb these minerals and without it, bone density and growth can be severely impacted. If you are afraid you are low in vitamin D, you can have your vitamin D status tested by measuring blood levels of 25-hydroxyvitamin D through a regular blood test performed by your doctor. He or she should then be able to determine if you are deficient, or at risk of becoming deficient, and recommend the proper supplement or dietary protocol. Typically, these blood tests are inexpensive (ranging between $30-$50) and can be combined with your iron test. Vitamin D is unique in that it can be obtained from foods but can also be synthesized by our own bodies through exposure to sunlight. Indoor sun exposure (i.e. through the window) will not produce vitamin D. Furthermore, exposure is limited on cloudy days and when in the shade. Overexposure of the skin to UV rays increases the risk for skin cancer. It is widely recommended to wear sunscreen to protect from skin cancer, but sunscreen also reduces the body’s ability to synthesize vitamin D from sunlight. In the late fall and into the winter, the days become shorter and exposure to sunlight is further limited by cold weather and more clothing being worn when outside. Individuals living in the northern states are particularly at risk for insufficient vitamin D.
A final way to get vitamin D is through supplements. Vitamin D supplements can be found either on their own or combined with another product, usually calcium. Supplements are usually found in one of two forms: D2 (ergocalciferol) or D3 (cholecalciferol). D3 is the natural form of vitamin D that the body makes from sunlight and therefore is the more recommended form of vitamin D supplements, however both forms are sufficient at increasing vitamin D in the blood. It should be noted that it is possible to have too much vitamin D. It is highly unlikely to get too much vitamin D from food or sunlight; therefore vitamin D overdose is almost always associated with supplementation. Although vitamin D supplementation may be recommended, it is important to adhere to the recommendations and not exceed 4,000 IU (100 micrograms) per day for healthy adults. Signs of vitamin D toxicity are often associated with increased blood levels of calcium and include: Nausea, vomiting, poor appetite, weight loss, constipation, weakness, confusion, disorientation, and problems with heart rhythm. Too much of any good thing is a bad thing. Therefore it is important to maintain a healthy overall diet and only take supplements as recommended. Remember that many foods are already fortified with vitamins and minerals and many supplements contain more than one product. Be sure to check all of your supplement labels for vitamin and mineral overlaps to prevent overdosing. Aranow, C. Vitamin D and the immune system. J Investig Med. 2011;59(6):881-886. National Jewish Health. “How vitamin D inhibits inflammation.” ScienceDaily, 23 Feb. 2012. Web. 1 Nov. 2012. I ran in HS and realize now that very little was told to us about nutrition. I now run marathons, and recently realized how important iron is for runners. It made a huge difference in my training when I was more diligent about iron intake. In fact, I was astonished I had ran for so many years, and did not ever come across the fact that most runners were deficient in iron to the point it hampered their performance! How did I not know that? Anyway, this article was also quite insightful: Thank you! 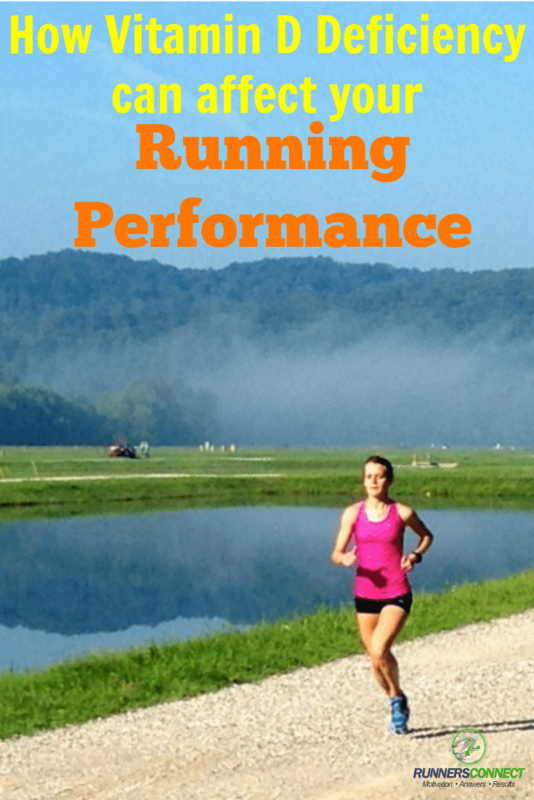 I wanted to ask: What do you, as a nutritionist and elite runner, think are some of the most overlooked vitamins, minerals, and other dietary problems with long-distance runners (especially young female runners who are thin but healthy weight)? Are there any other common deficiencies (like iron) that can be easily fixed through diet and/or supplementation to lead to improved performance and training in long distances? So so important! I take 5000 IU once a week (since it’s a storable vitamin) with a meal. If there is 1 pill I suggest someone takes, this one might be it. I do “light running” about 3 times a week between 3-4 miles at a time. Recently I have had Achilles tightness in the first half mile of my run. After that it goes away and the tightness does appear again until my next run. So there is no lingering effect after the first half mile of tightness, until the next time I run again. Do you why this is happening? Hi Rick, we have a post about achilles tendinitis, which you may find helpful; https://runnersconnect.net/running-injury-prevention/achilles-tendonitis-and-insertional-achilles-tendinopathy-in-runners/ it may also be because you are doing the wrong exercises, and your weaknesses are not bad enough to cause full blown tendinitis, but it causes some discomfort. We show you how to work on this here: https://runnersconnect.net/running-training-articles/how-to-strengthen-your-calves-and-achilles-to-prevent-injury/ Hope this helps! Hi, my work is mostly indoor. I work from home all the time. My age is 25, my B MI IS 24. The problem I am facing is my vitamin D3 count is only 03/100 ( yeah that much low!!!). Doctor asked me to take vitamin D3 doses through injection every week . And I am also having cholestrol 271, I have fatty Liver, high uric acid. Please suggest me right food which I can consume without increasing my cholestrol and fatty liver. Also should I do running or walking,I have this dilemma as my vitamin d is so low that I don’t want to fracture any bone. Hi John, that question would be a great one for your doctor, but the article gives lots of great suggestions. Even though the fatty fish have high fat, it is good fat that will work on reducing your cholesterol level. You could actually use all the other suggestions in this post too, other than maybe margarine and being careful with the fortified cereals (chose whole grain, low sugar cereals). You are fine to walk and run if your doctor said it was okay, but start with the run walk method https://runnersconnect.net/coach-corner/dont-shun-runwalk-method-experienced-beginners-alike-can-ultilize-runwalk-smarter-training/ Hope this helps!